Figures issued today by national Irish language broadcaster TG4 show the station is going from strength to strength with its linear and online content, as well as consolidating companies in the sector and boosting regional employment. Investing €22.9m directly into the independent production sector last year alone proved very successful for TG4, which reached 87% of Irish viewers in 2018 and at its peak on Easter Sunday saw over 904,000 people viewing its programmes. Football and Hurling topped the viewing leagues again, but music and documentaries also drew substantial numbers for TG4 in 2018. Favourites such as Nuacht TG4, 7 Lá, Ros na Rún, Fleadh TV & Oireachtas 2018, proved hugely popular with the core Irish-speaking audience on tv and also online – where the TG4 footprint is ever increasing, most notably in Ireland, Britain, the US & Australia. 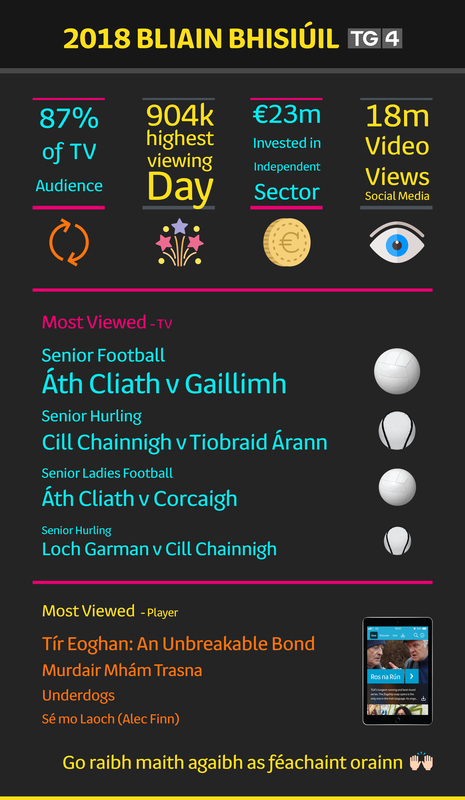 The TG4 player had an impressive 34 million minute views in 2018, as well as another 18 million views for TG4 content on its social media platforms. The new ‘Molscéal’ app, which was officially launched in November, is perfoming particularly well with over 2 million views to date. Two brand new feature films in Irish, as part of the Cine4 initiative, went into production in 2018 and two international co-production initiatives were set up as well. 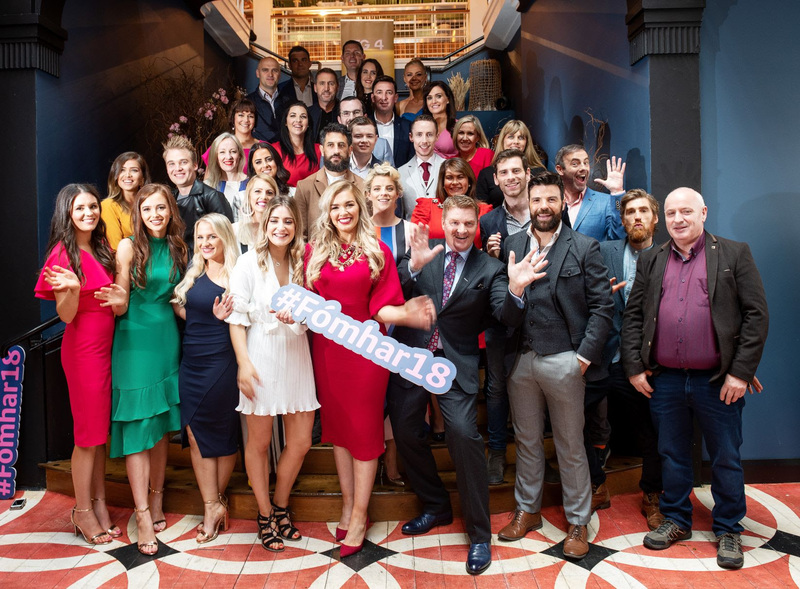 Events such as live broadcasts of Peil na mBan, ‘Fáilte 2019’, Fleadh TV, Comórtas Peile na Gaeltachta and developments like the award-winning online brand ‘BLOC’, have attracted phenomenal support and are testament to TG4’s ethos of pioneering new and groundbreaking content, but always with the ‘Súil Eile’, or alternative approach to top quality broadcasting that has become the hallmark of the station.